From the 2009 San Diego Comic-Con ~ SDCC. STAR TREK U.S.S. ENTERPRISE. Star Trek Collection . To boldly go where Hot Wheels vehicles have never gone before! HOT WHEELS. 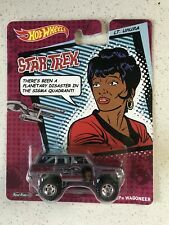 You will receive one Hot Wheels 2014 Pop Culture 1988 Jeep Wagoneer Star Trek Lt Uhura Purple Color. If you are looking for a perfect cards this isNOT FOR YOU. 2019 Hot Wheels. Star Trek U.S.S. Enterprise NCC-1701. Mint on mint near mint card. I will not respond. After all my fees and costs I barely break even. My price is my price. May have soft corners or other shelf wear. I will send you an invoice at that point. Hot Wheels Retro Entertainment Star Trek U.S.S. Enterprise NCC-1701 New in Package 1:64 Die Cast Always happy to combine shipping RETURNS: If there is ever a problem with anything you buy from me please know that I will do everything in my power to resolve the issue you have. I do accept returns PAYMENTS: I only accept payments through Paypal. I will only mail to confirmed Paypal addresses only. Shipping Policy: I WILL ONLY SHIP USING USPS MAIL SERVICES. I gladly combine shipping on multiple items. I do not offer pick up or delivery services. U.S.S. Enterprise - LAST ONE! Nice Custom Key Ring. Midnight Otto. Released in 2014 by Hot Wheels. Little to no wear. Midnight Otto. Hot Wheels. HOT WHEELS. Featuring SULU. 2016 HOT WHEELS POP CULTURE. STAR TREK 50TH. Condition -See pictures for condition,I try to take an extra picture if I see a major issue. STAR TREK CAPTAIN KIRK 49 FORD C.O.E , THEY ARE DONE IN TEAL/GRAY. BUT I DONT SAY ANY ARE MINT BECAUSE EVERYONES MINT IS DIFFERENT. MIDNIGHT OTTO. STAR TREK SERIES. POP CULTURE. HOT WHEELS. RED LINE REAL RIDER TIRES. A-Wing Fighter (Rebels). Partisan X-Wing Fighter (Rogue One). The Ghost (Rebels). Based on the popular Star Wars. This Case includes the followingStar Wars vehicles Imperial AT-ACT Cargo Walker (Rogue One). New, however, opened & without badge. Battle cruiser has not been removed from package. See pictures for more details. If you have any questions or would like to see more pictures, feel free to ask. Check out my other stuff and happy toy hunting! 2016 Hot Wheels Retro Entertainment Series "U.S.S. Enterprise NCC-1701"
Near Mint on Card. FREE Trial ! Condition -Card has top cut off, bubble maybe cracked or small dent too. See picture for condition. You are buying a 2014 hot wheels pop culture p case complete set of six star trek series real riders wheels a real nice set to add to your collection!!! Condition -See pictures for condition, I try to take an extra picture if I see a major issue. Hot Wheels - Pop Culture (2016). Star Trek 50th Anniversary. Up for sale is a Hot Wheels -. 1:64 diecast vehicle. 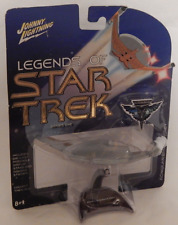 Hot Wheels Star Trek U.S.S. Vengeance. Die-Cast 1:64 Scale. Mint Vehicle On Near Mint Card. 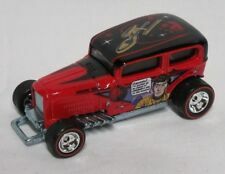 HOT WHEELS CASE CODE P custom graphics & real riders tires. Don't let this one slip away! Nice little model painted red with cool graphics. would make an excellent addition to any collection or toy box. U.S.S. VENGEANCE STAR TREK. HOT WHEELS. LOOSE IN MINT CONDITION. DISPLAY SCENE NOT INCLUDED. 2018101 Dalmatians -. 2019Star Trek -. You are buying a lot of 4 Hot Wheels mighthave soft corners and edges, always look close at the pictures. United States on any products. Limitations on. Car Culture Cargo Carriers Mooneyes Volkswagen T1 Panel Bus. Marvel THE WASP Volkswagen T1 Panel Bus. Star Trek Volkswagen T1 Panel Bus. You are purchasing a lot of 4 Hot Wheels Pop Culture - Nostalgia Volkswagen VW T1 Panel Bus. 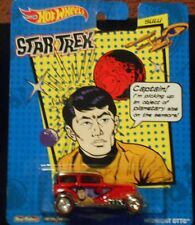 Hot Wheels Pop Culture STAR TREK Mr. SULU "Midnight Otto" 1:64 scale diecast. New on card - For the Adult Collector. 2013 HOT WHEELS U.S.S. Enterprise NCC-1701 Col. #60/250. 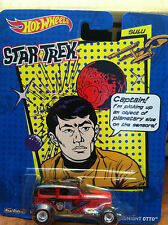 Series: Hot Wheels Star Trek 50th Anniversary. Year: 2016. Model: USS Enterprise NCC-1701. Condition: MIB. 2015 HOT WHEELS U.S.S. Enterprise NCC-1701 Col. #63/250. 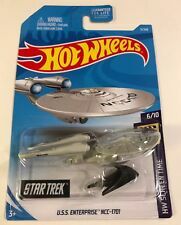 Hot Wheels Star Trek U.S.S. Enterprise NCC-1701. Die-Cast 1:64 Scale. Space: The Final Frontier! Mint Vehicle On Near Mint Card. KIRK '49 FORD C.O.E. POP CULTURE. HOT WHEELS. 2014 Hot Wheels Retro Entertainment STAR TREK U.S.S. 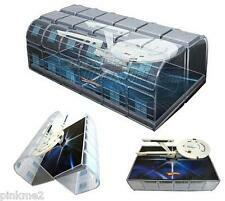 ENTERPRISE NCC-1701 NEW!